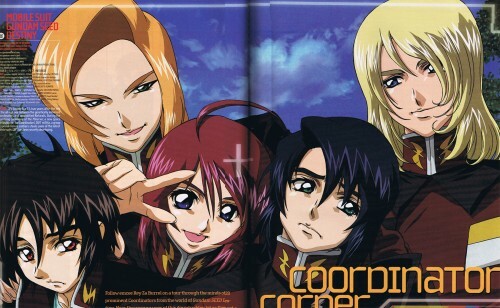 Shinn is sooooo kawaii..he looks like a cute little boy XD looking jealous cuz Luna's so close with Athrun *LOL* Thanks for sharing! He smiles funny in this, Love it. I get to make fun of him now. This is a lovely scan! Athrun looks unbearably cute in this picture! Thank you so much! Love it! athrun sure looks cute here with the awkward smile lol..
OMG!LUNA AND SHINN LOOKS SO CUTE IN THIS SCAN! The Best Crew Ever! Luna Is So Cute Love Her Pose~~ And Athrun Is So Cute..Even Rey..